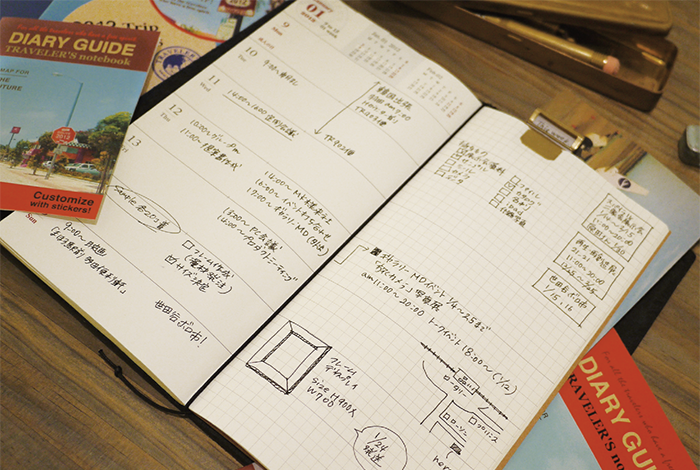 TRAVELER’S notebook diary is a road map to go toward the year 2012. We have 5 kinds of maps for the year 2012, adding a new face of “weekly and memo”. Please use it combining some diaries according to the travel of your life, just like using both a wide range city map and a detailed road map. You may discover something new. * This product has been discontinued. Weekly schedule on the left page, square-section ruled free memo on the right. On the memo pages you can enjoy writing your ideas and memories or sticking receipts and tickets. 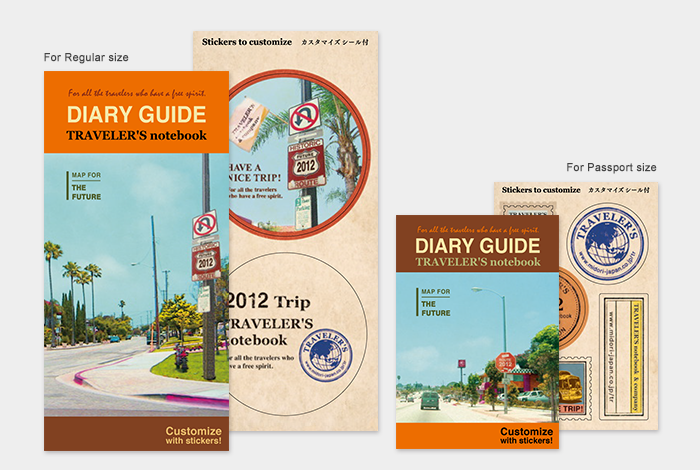 Bonus items for 2012 TRAVELER’S notebook Starter kits and 2012 Refills.